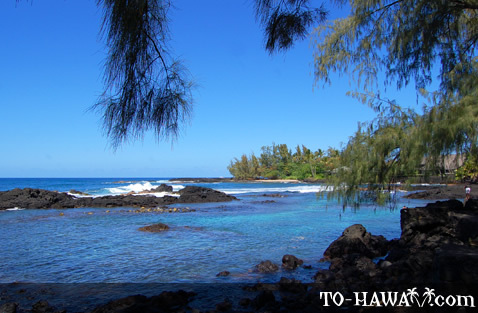 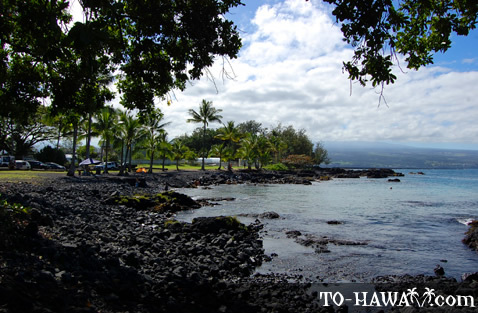 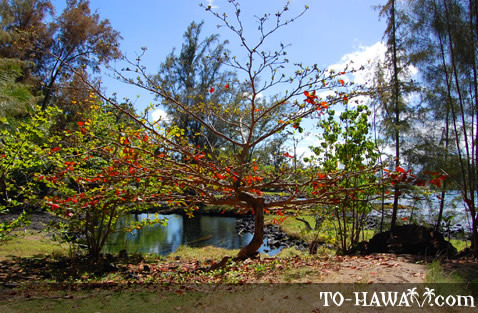 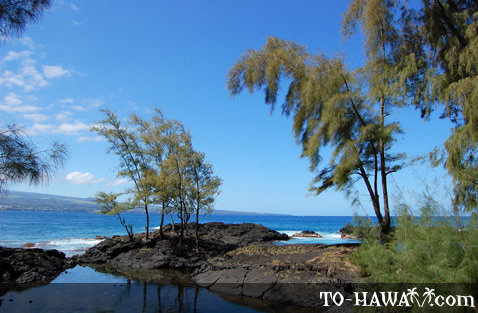 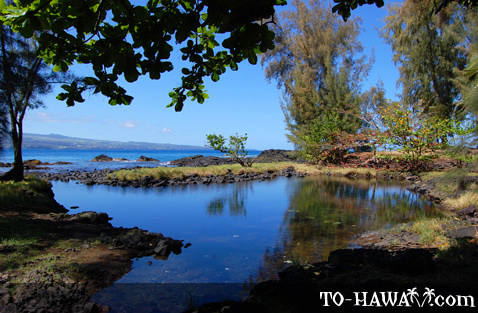 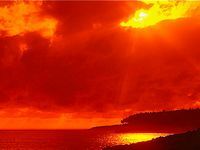 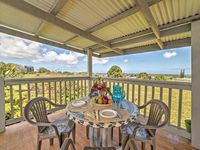 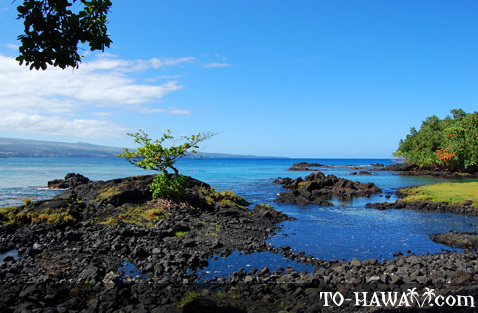 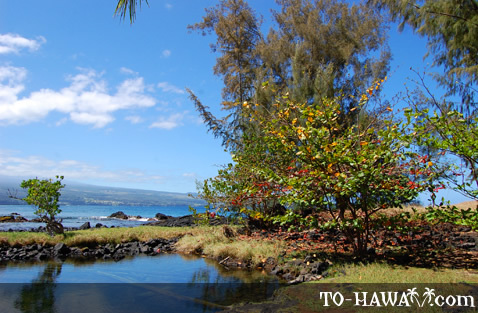 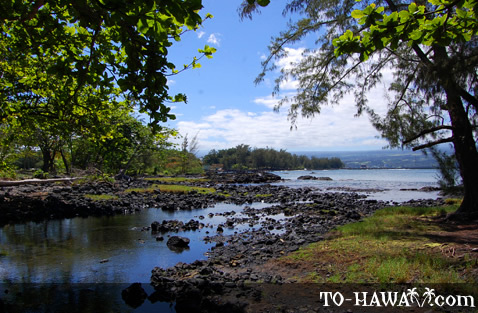 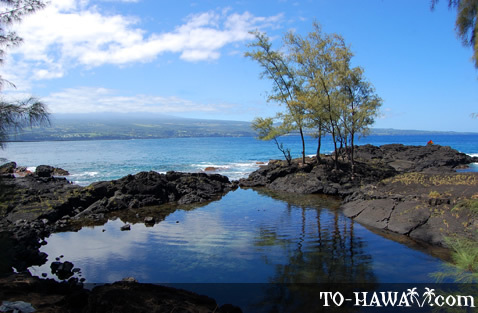 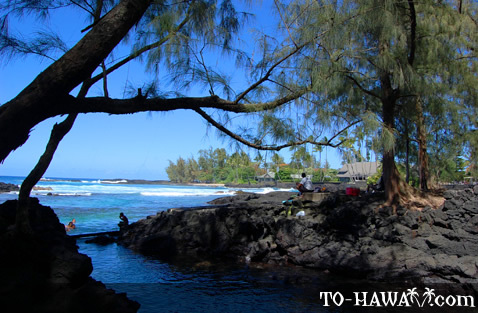 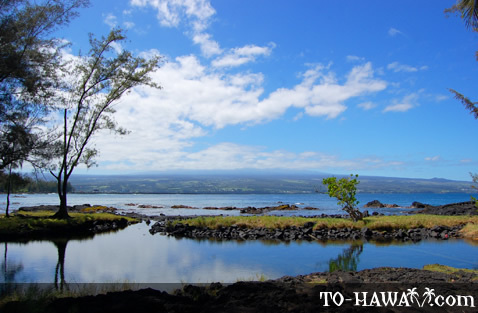 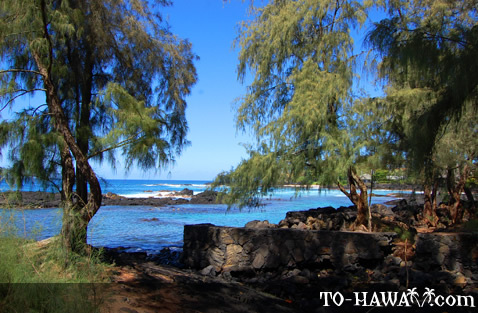 Keaukaha Beach Park (see more photos) is one of the Hilo area beaches. 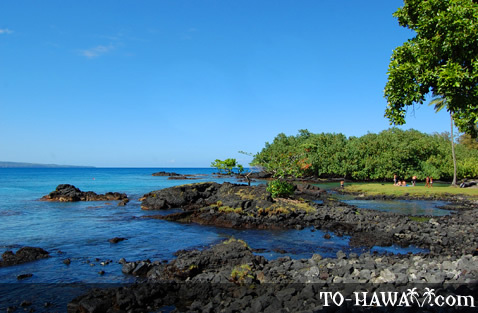 There's actually no beach here, but only a lava rock shoreline. 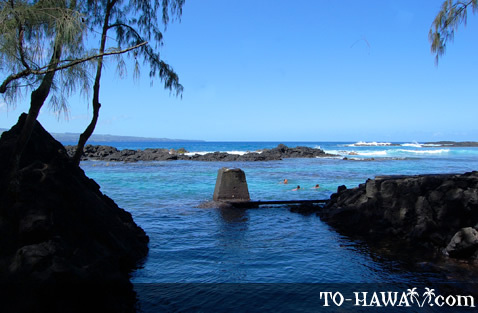 Several freshwater springs bubble up from the ocean bottom, which makes the water temperature in some areas a bit chilly. 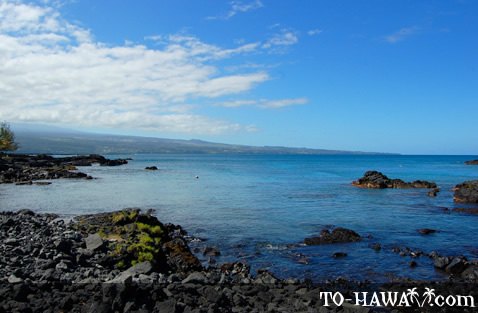 Because of the rocky shoreline, the swimming conditions are rather poor here, but the snorkeling is good when the ocean is calm. 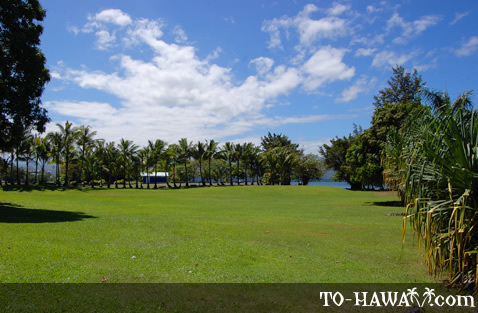 There is a large grassy area that’s ideal for a picnic. 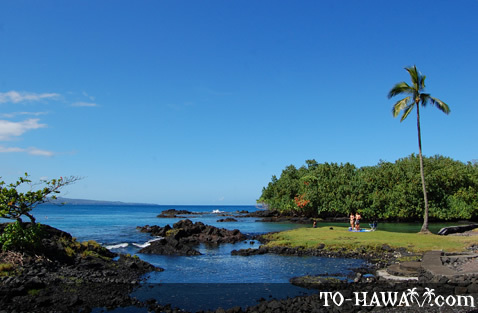 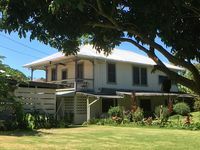 Directions: From downtown Hilo, drive east on Kalanianaole Avenue. 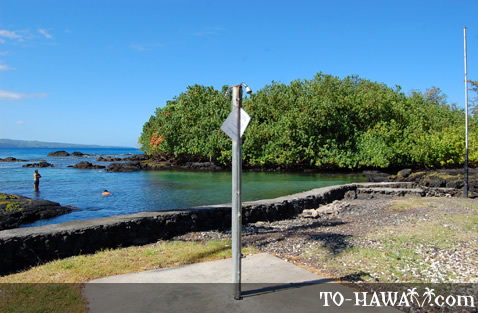 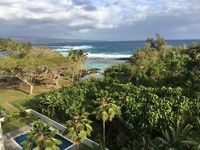 There is a parking lot on your left at Keaukaha Beach Park.